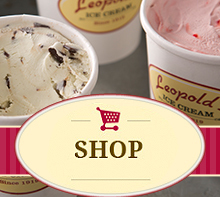 The Toronto Sun has just rated Leopold’s among the top ten best ice cream shops in the world. Not bad! Read the full article here. The winning essays by Abigail Keener (page 1, page 2, page 3, page 4) and Ahmed Awad (page 1) are available as downloadable PDFs! Get Warm & Cozy at Leopold’s! Does Ice Cream Bring A Smile To Your Face? Leopold’s Ice Cream was voted as the Best Place for Dessert and the Best Ice Cream/ Yogurt (a new category) by Savannah Magazine readers. Click here to read the article. Charleston Post Courier The week-long “Great Ice Cream Run” from Sanford, Fla., to Bar Harbor, Maine, stops at Leopold’s parlor in Savannah today. Click here to read the full article.